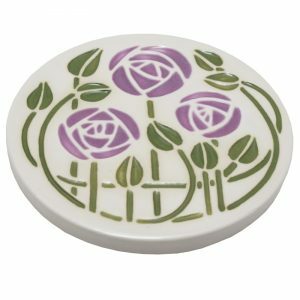 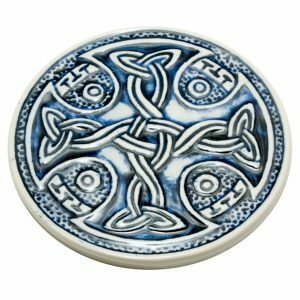 The Pictish coaster is ideal for keeping glasses and mugs off your table tops. 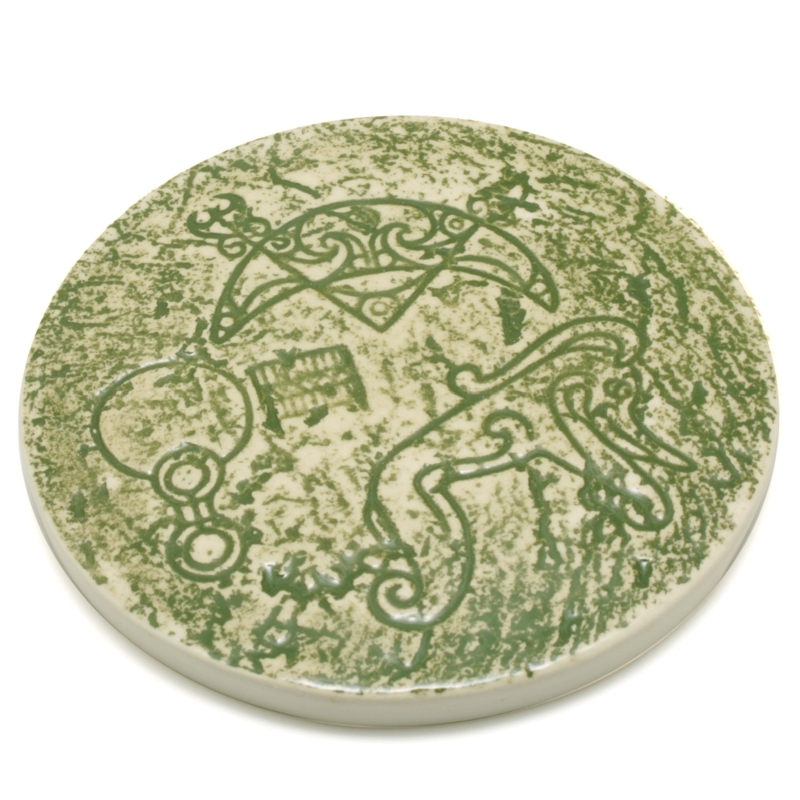 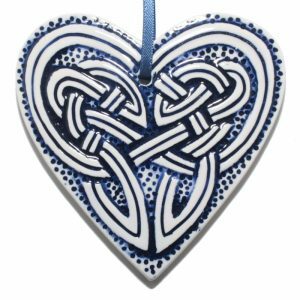 The coaster is decorated with carved Pictish and hand painted symbols. 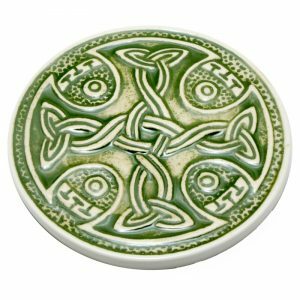 Alongside our Pictish teapot-stand it gives any table a Pictish theme. 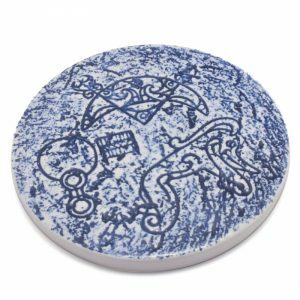 The Pictish Coaster is handpainted in Scotland by Jacqui Seller.